My best friend Amanda was on USA women’s national field hockey team with Melissa. I was coaching at an event where their practice facility is in Lancaster, PA. During a break, I went and talked to Amanda. 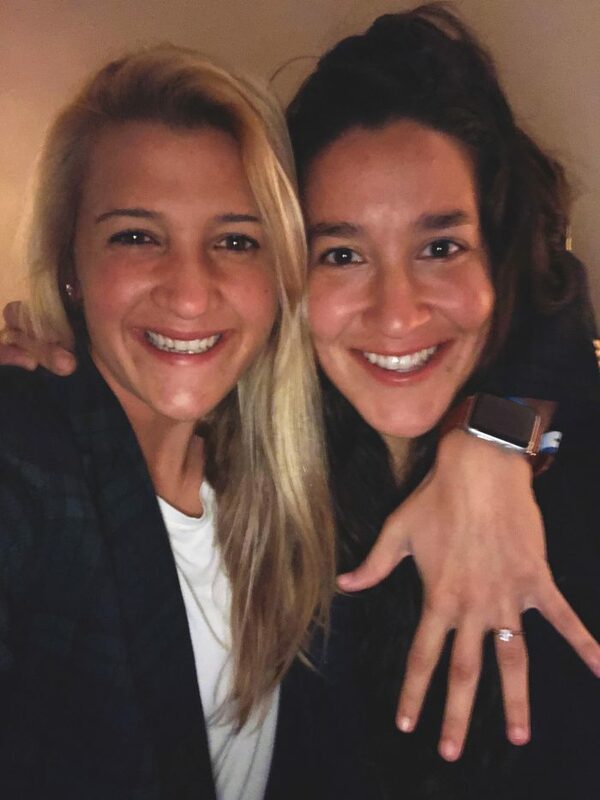 While we were chit-chatting I saw out of the corner of my eye standing at the snack bar the beautiful, stunning, captain of the US team, my crush – Melissa Gonzalez. I was trying to keep my you know what together. The conversation ended and I went back to coaching that day with only her on my mind. Amanda and I went out to dinner that night and talked about my HUGE crush on Melissa. The next day Amanda had a team dinner. Well apparently, she saw me too that day when she was at the snack bar. Next thing you know Amanda is calling me, telling me to get back to the hotel I was staying at because she had a “surprise” for me. I walked into the lobby to find Amanda standing there with a Domino’s pizza box and two chocolate lava cakes. Who doesn’t love pizza and lava cakes?! 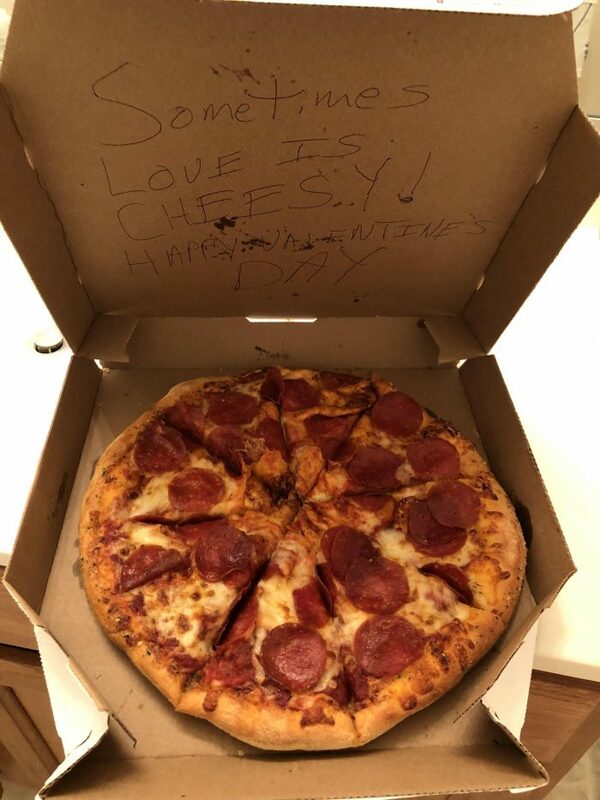 She kept saying, “Open it, open it!” I opened the box to find a medium pepperoni pizza and written on the inside of the box, “Sometimes love cheesy” with a phone number on top of the quote (the pizza guy had horrible handwriting). I immediately felt a rush of excitement about who this anonymous cheeser could be since I had talked about Melissa the night before to Amanda and Amanda delivered it and I knew Amanda was with her earlier. But, could it really be her? We had never spoken before! I paced the hotel room for what felt like an eternity trying to come up with something clever to say. 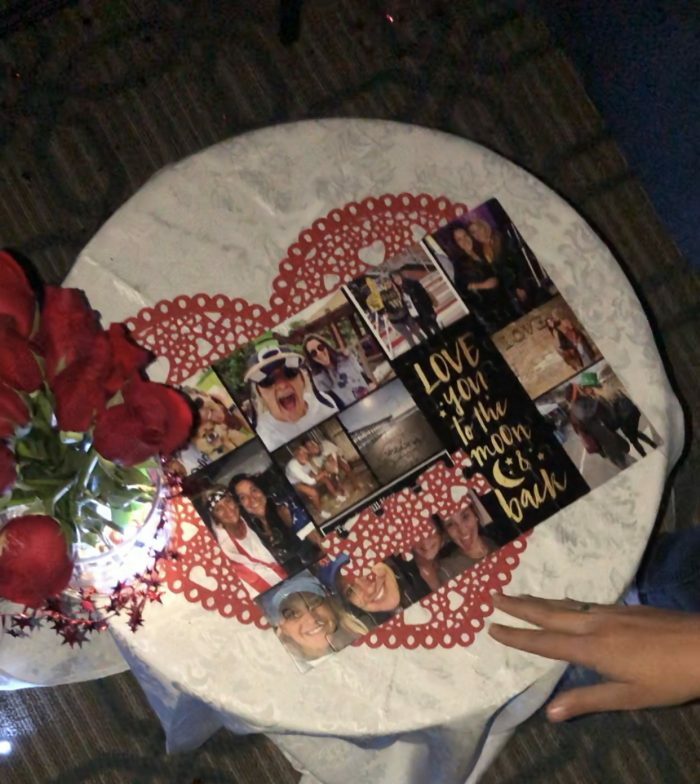 I finally grew a pair and responded, “So I received a pizza from a cheesy admirer with a side of two lava cakes…Lemme just say pizza is one of my absolute favorites and you stole a pizza my heart (emoji wink face).” From then on – GAME OVER. One year, 8 months and 27 days later from that exact day, we have fallen madly in love. Also, we send each other pizza’s with the “Sometimes love is cheesy” quote on the inside. Melissa and I were both very busy during the week Valentine’s Day. We both decided we would have our romantic date night on February 23rd in Richmond. She said she wanted to plan the entire thing. I was told I needed to be dressed and ready outside of my friend Chaney’s apartment. She picked me up and said she had forgotten my present at her friend’s hotel. Something she would TOTALLY do so I thought nothing of it. We arrive at The Berkley Hotel and head up to the room. 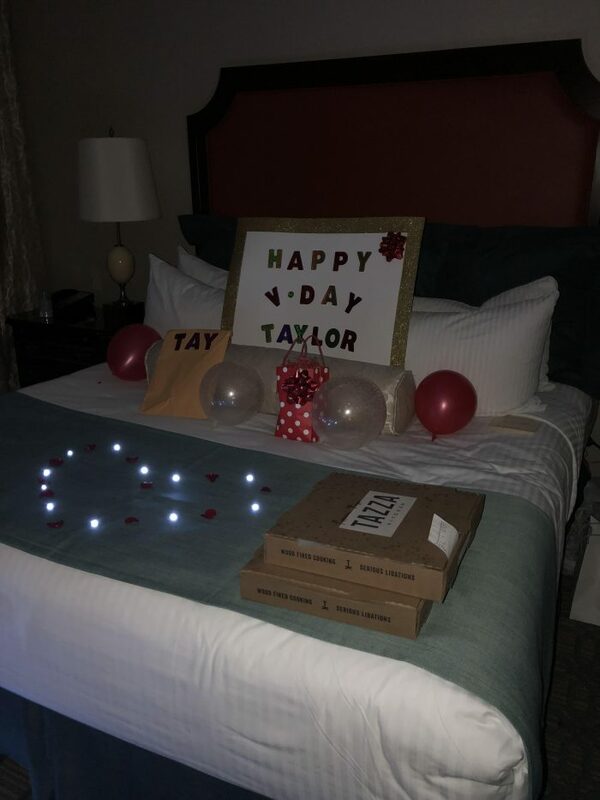 I walk into to see the room completely covered in rose petals, roses in vases everywhere, twinkling lights set up all around the room, a table set up with two chairs, a bottle of wine, two pizza boxes, a sign on the bed that said “Happy V-Day Taylor”, and two presents on the bed. 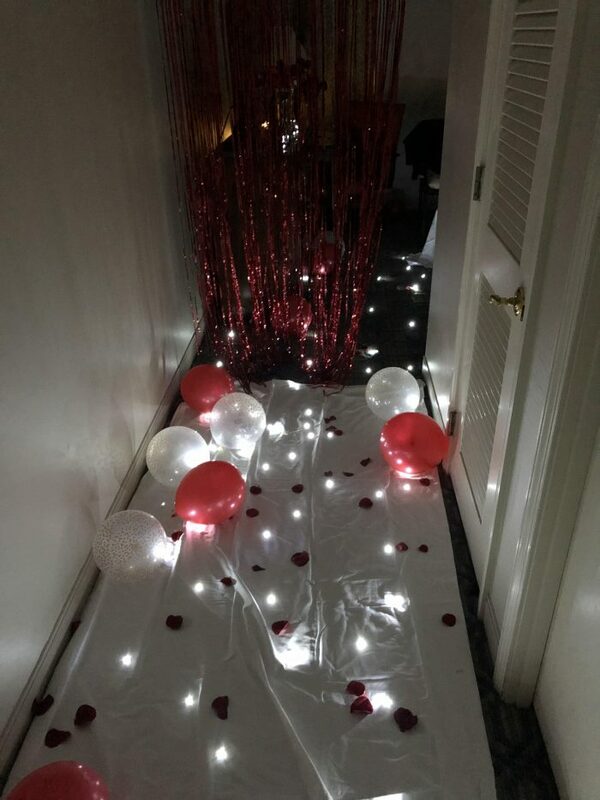 WOAH, did she go all out! In my head still, this was just a “Valentine’s Day” surprise. Side note, I was also freaking out because all I got her was some fancy converses she wanted…haha. 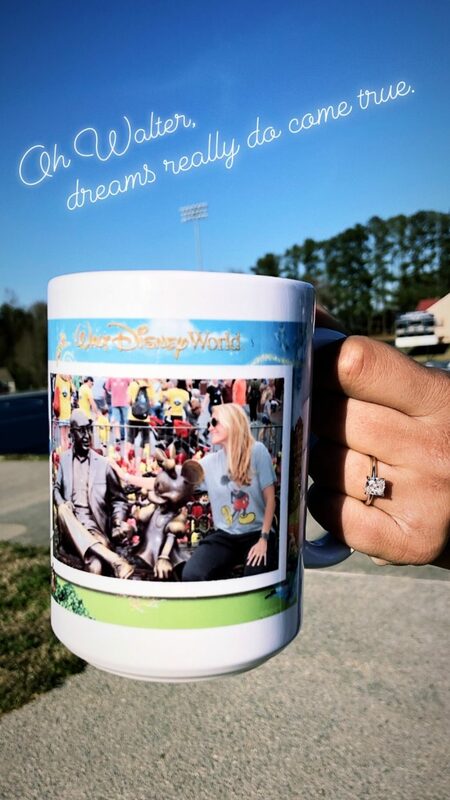 We get to opening gifts and I had gotten a Walt Disney World mug with a photo of me at the Magic Kingdom of me, Minnie and Walt Disney. I WAS SO PUMPED (it’s awesome and I use it every day). 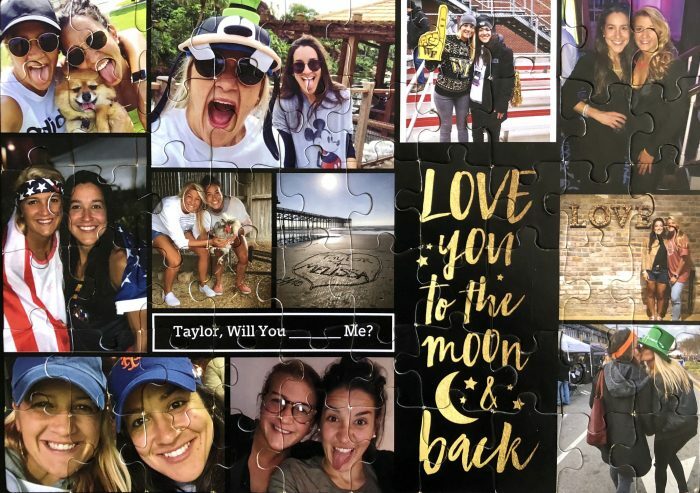 I then open my next gift and there are puzzle pieces in a little baggy that looks like photos of us. She said she wanted me to see the puzzle so I started putting it together. Okay, people, this is when I’m starting to pick up on things but still, knowing her and the goofball she is, I was thinking maybe she’ll be taking us on a trip somewhere or something. No pieces were left and there are three pieces missing from the puzzle. She handed me the phone to keep recording then sat down across from me and started playing the song “Marry Me” by Train. She then held up “punny” signs, and after reading each one she handed one of the missing puzzle pieces. You can see in the video my hands are shaking and I’m trying to force pieces down that clearly don’t fit, haha! When she is done with the signs she handed me a sealed Ring-pop. 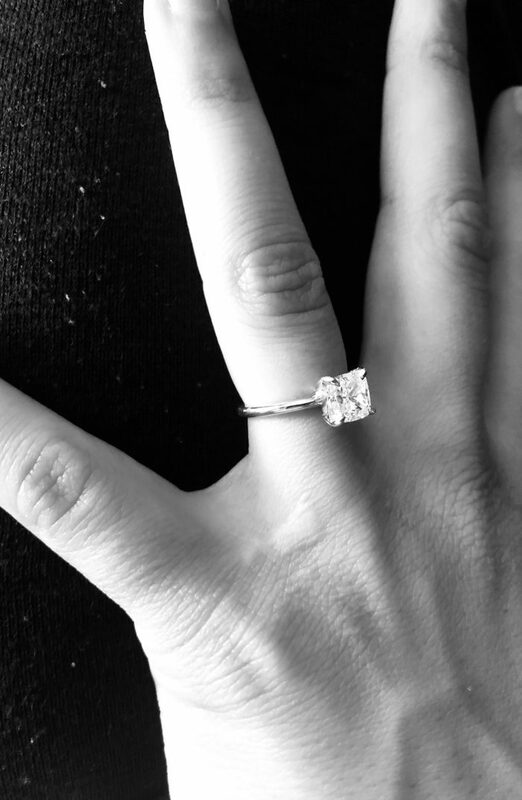 I opened the wrapper to find the most GORGEOUS diamond ring inside. She got down beside me and asked for my hand in marriage. It was truly a fairytale moment! BUT NO, that’s not the end! 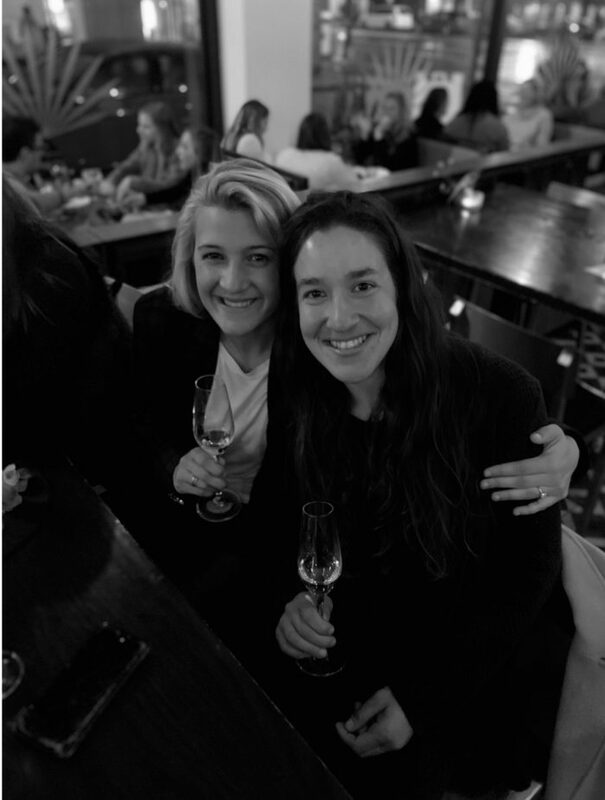 We go to the bar around the corner, thinking we are just meeting up with my best friend, whom I told, for a celebratory drink. 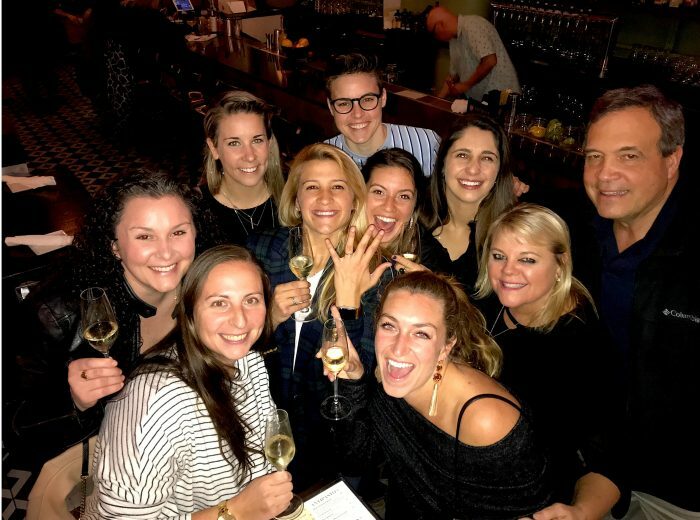 I walk in to see my parents and all my best friends there waiting to celebrate the engagement. It was perfect. SHE REALLY GOT ME!